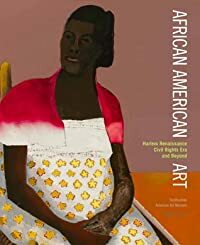 A beautifully illustrated survey of African American art of the twentieth century, including many never-before-seen works by the most important artists of the period. African American Art presents a powerful selection of paintings, sculpture, prints, and photographs by forty-three black artists who explored the African American experience of the twentieth century. Embracing many universal themes and also evoking specific aspects of the African American experience such as the African diaspora, jazz, and the power of religion, the artists worked in styles as varied as documentary realism, abstraction, and postmodern assemblage of found objects. Drawn entirely from the Smithsonian American Art Museum’s rich collection of African American art, the works include paintings by Benny Andrews, Jacob Lawrence, Thornton Dial Sr., Romare Bearden, Alma Thomas, and Lois Mailou Jones, and photographs by Roy DeCarava, Gordon Parks, Roland Freeman, Marilyn Nance, and James Van Der Zee. More than half of the artworks in the exhibition are being shown for the first time. 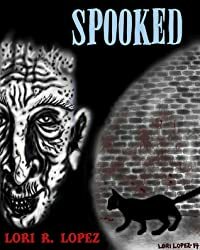 In Richard Powell’s text, his usual keen insights into meaning and metaphor enrich the reader’s understanding of the artworks in their historical setting and contemporary culture. 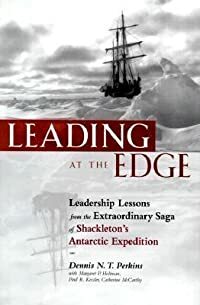 Part adventure story, part leadership guide, this intriguing book examines Shackleton's legendary Antarctic expedition through the lens of business--to reveal a set of powerful strategies for corporate leaders. 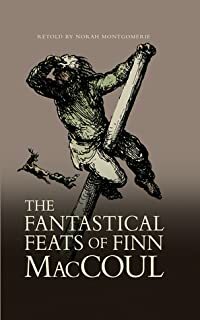 In the chronicles of extraordinary adventures and against-the-odds survival, nothing compares to the story of Sir Ernest Shackleton and his team of South Pole explorers. 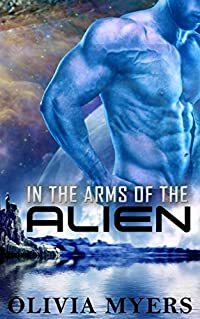 Stranded in the frozen sea for nearly two years, they endured extreme temperatures, hazardous ice, dwindling food, complete isolation, and perpetual blackness. Yet, despite the seemingly insurmountable obstacles, the group remained cohesive, congenial, and mercifully alive--a fact that speaks not just to luck but to an unparalleled feat in leadership. Now, for the first time ever, Leading at the Edge draws on this amazing story to reveal the power of effective organizational leadership under conditions of uncertainty, ambiguity, and rapid change. The book uncovers 10 ons-- complete with stirring examples from the Shackleton expedition, as well as contemporary business case studies of the strategies in action--on what it takes to be a great leader. Readers learn how to: • Set a personal example with vivid symbols and behaviors • Instill optimism while staying grounded in reality • Reinforce the team message constantly • Find something to celebrate and something to laugh about • Have the courage to take big risks, and more. For managers and executives who feel stressed out or stretched thin, these memorable strategies will help bring order to chaos--and success in the face of the most daunting adversity.